I don’t often need to buy back ups of polishes. I very rarely make any headway whatsoever into a bottle as I want to use something different every day but I think the Model’s Own Polish For Tans collection may be an exception! The neons really are quite unique to anything I have seen before. They positively glow in the daylight! And I can assure you that despite the collection’s name they are not just for people blessed with golden skin. I am very pale and I think they work well with my skin tone too. So for this mani I started with a base of White Light and then using various combinations of Beach Bag, Shades, Sun Hat, Pukka Purple and Assher Blue I stamped an abstract floral image from Moyou London Pro Plate XL 23. I loved the dual effect on the nails! Models Own website has details of stockists and can be found at http://www.modelsownit.com and IG on http://instagram.com/modelsownofficial. Moyou Plates can be purchased from http://www.moyou.co.uk. 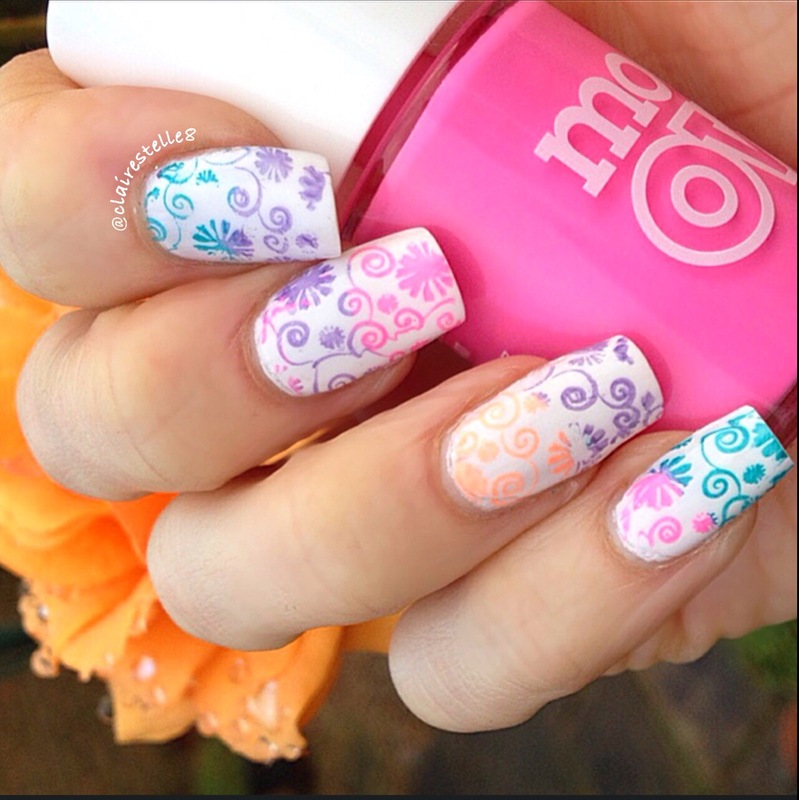 ← Green and gradient and stamping oh my!